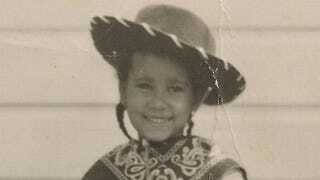 Can You Help This ‘Brown Baby’ Find Her White Mom? My sister and I were “brown babies,” which is what children born to African-American soldiers and German women during and after World War II were called. However, I was adopted as an infant and raised by African-American parents. I was raised as Renate D. Loveless (my maiden name). I have located my African-American roots and learned that my father lives in Nashville, Tenn. I also located my sister, who has a different father. We have all been connected for a few years now and have a very good relationship. Now I would like to locate my birth mother while there is still time. My mother was German, born in what was known back then as Reichenberg CSR. I was born in Garmisch, Germany, on March 10, 1954, and I believe this is where my mother and her parents settled, presumably after being expelled from Czechoslovakia by Hitler. German Jews were expelled and forced across the border into other cities. I have searched every resource I can think of to find my mother. Germany has no familienbuch on her, and contacts in the [former] Czechoslovakia cannot help. She was born Waltraud Helene Helwig on June 25, 1931. I learned on Ancestry.com that my birth mother came to the U.S. in 1956. I found her name on a flight manifest to New York, which I am sending you. After that, the trail goes completely cold. The societal taboo against interracial relationships at the time was also certainly a factor, especially in the segregated United States. In fact, only a fraction of the “brown babies” ended up in American homes, according to Vera Ingrid Grant, a scholar who has studied black-white relations in Europe. “A great many ended up in orphanages in Germany. Some, however, grew up in wonderful German families, regardless of the hostile environment,” she told us in an email. Meanwhile, we did uncover some leads that may be able to help you find your German mother. Did Your Mother Settle Here? One problem you are going to run into during your search for her is the lack of accessible records dating after 1956, which is the year you know your mother arrived in the United States. The first step would be to try to determine if Waltraud Helene Helwig remained in the U.S. after her flight to New York City. Questions that arise in this scenario may lead you to helpful records: Did she ever naturalize? Did she marry, and did her name change after she settled in the U.S.? You may find that you get more results by searching only for her first name and date of birth in collections, since her surname may have changed after her arrival. Keep in mind while you search that she may also have changed her first name, or her name may be recorded in records under a variety of spellings. Alternate spellings of Waltraud could include Waldtraut; Waltraut; Waltrud; or the nicknames Waldi, Trudi or Traudi. She may have also decided to go by her middle name or a variation of it, such as Helen. It is always best to start gathering as much information as you can from records you already have. The latest record you have for Waltraud Helene is her passenger list. Unfortunately, the record does not list her final destination or her last permanent residence, but you do know on which airline she traveled. Interestingly, the Flying Tiger Line was a military charter operating for both cargo and personnel. The airline started as a contracted cargo airline, but through the 1950s it began chartering group travel in passenger aircrafts. Because the airline was primarily a military charter and not a passenger line, records may exist that reveal whether your mother traveled with others on the flight as part of a chartered group or as an individual connected to U.S. military personnel. In 1988 Federal Express bought the Flying Tigers Line, and it is possible that FedEx may have some of the papers from the Flying Tiger Line in its archives that may help you get a better sense of who chartered your mother’s flight. If your mother remained in the U.S., she may have been naturalized. There are a few databases that have records for naturalizations after 1956. On Ancestry.com (subscription required) you could search New York Index to Petitions for Naturalization Filed in New York City, 1792-1989; U.S. Naturalization Records Indexes, 1794-1995; or U.S. Naturalization Records—Original Documents, 1795-1972 (World Archives Project). Did She Keep the Same Name? Keep in mind that your mother’s name may have changed, so try a variety of search terms to broaden your results. For example, the collection New York Western District, Naturalization Index, 1907-1966, at FamilySearch, includes an index card for Waltraud Helene Comstock, who naturalized in the U.S. District Court for the Western District of New York in 1964. There is no way of knowing from the index alone whether this is a document for your mother, but it does tell you that there was a Waltraud Helene who naturalized after 1956 in New York, where you know your mother entered the country. We suggest ordering this record from the U.S. National Archives to see if the original record provides more information that could indicate whether or not this is a record for your mother. You could also look for a marriage record to see if Waltraud Helene ever married. The most reasonable place to start is New York, since this is where she arrived, though this does not mean that she remained in New York. You could start with New York Marriages, 1686-1980 on FamilySearch. You could even extend the search to databases for the entire country, such as U.S. Marriages, 1733-1990. You may also want to check birth indexes. If your mother married and had more children, her maiden name may be recorded on the birth certificates for her children. Since you are searching in the recent past, newspapers may also include marriage, birth or death announcements. Google has a newspaper archive of many newspapers that have been digitized and are easy to search. Other websites, such as GenealogyBank and Newspapers.com, include searchable databases for newspapers. Sadly, you may also need to explore the possibility that your mother has already passed away. In this case, obituaries and gravestones may be helpful in your search for her. The newspaper databases previously mentioned may include an obituary for her. You could also check the U.S. Social Security Death Index, 1935-2014 at Ancestry.com, which would provide you with a place of death that could lead you to more records. Another collection that may be of help is U.S. Casualties of Army Personnel, Dependents and Civilian Employees, 1961-1981 at FamilySearch. This collection lists the deaths of Army personnel and their dependents worldwide. If Waltraud Helene ever married an American soldier who has died, she may be included in this database. Another alternative would be to locate any information you can about your mother’s family in Germany. Because you know your birthplace and your mother’s birthplace, you could search for her surname in those locations. Even if you do not locate any records specific to Waltraud Helene, you may find records relating to her family that could help you locate her. FamilySearch allows you to search its catalog by place. Most of these records are available only on microfilm, but you could locate a Family History Center location near you to view the films. Garmisch—formally known as Garmisch-Partenkirchen—was originally two towns that were combined prior to the 1936 Olympic Games. You could contact the local archives at Marktarchiv Garmisch-Partenkirchen to see if they hold documents on your family. According to Ancestors in German Archives: Vol. 1, the Marktarchiv Garmisch-Partenkirchen holds collections of vital, tax, health and religious records for the town. You could contact it to search for your mother’s name or her surname to see if you can locate any further information on Waltraud Helene or her family. You may also want to examine the book Race After Hitler: Black Occupation Children in Postwar Germany and America, by Heide Fehrenbach. While the book may not specifically refer to your family, you could consult the footnotes to see where the author gathered her information. Vera Grant suggests also viewing the documentary A Breath of Freedom, inspired by the book GIs and Fräuleins: The German-American Encounter in 1950s West Germany, by Maria Höhn. Finally, though it may be a long shot, consider having your DNA tested (and that of your sister) by one of the larger DNA-testing companies that have a database of subscriber test results. If one or more of your maternal relatives is also in the database, you may end up being notified of a DNA match that you can then explore in your search for your mother. Ancestry.com, FamilyTreeDNA and 23andMe provide such services.